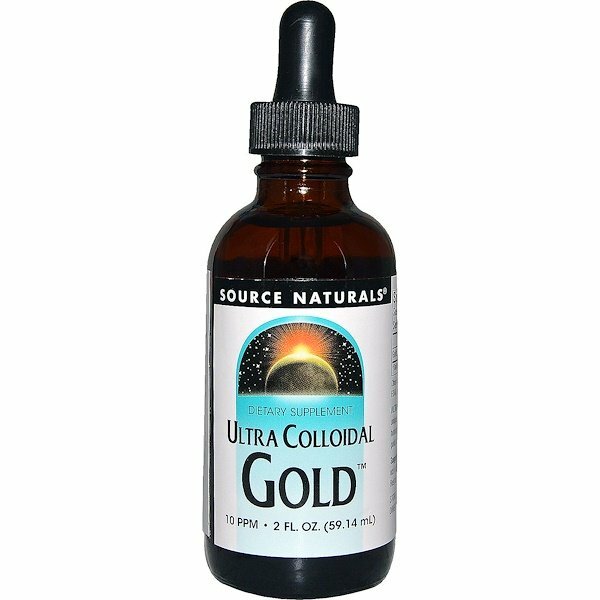 Ultra Colloidal Gold is produced through a unique electrical process that creates the necessary homogeneity, minute particle size and stability of the gold particles. No animal proteins are used. 1/4 to 1/2 teaspoon daily. This product is not intended for children or for continuous use. Best taken alone on an empty stomach. 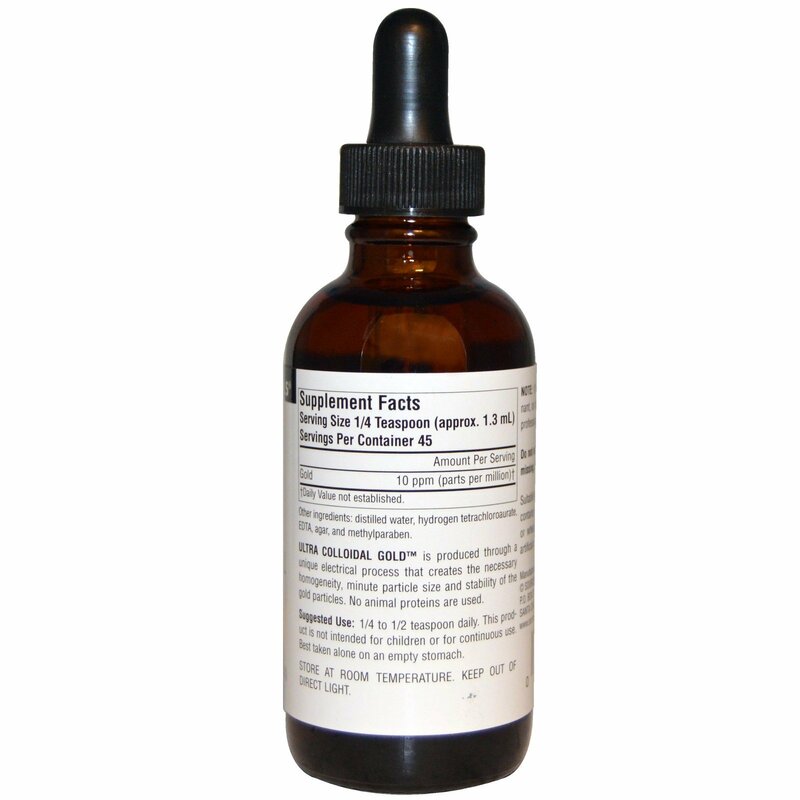 Distilled water, hydrogen tetrachloroaurate, EDTA, agar, and methylparaben. Store at room temperature. Keep out of direct light.